We Are Celebrating Our Second Year! We are having a week-long celebration ~ Monday December 2nd through Saturday December 7th. Find special pricing throughout the shoppe & enter for door prizes all week long. Our 2nd Anniversary Celebration is Saturday December 7th! FREE & FULLY LOADED Bags of Scrapping Goodies for the first 50 guests! We just love the fun pinks, greens, and blues in the new Jillibean Soup Christmas Cheer Chowder collection... pair them with the right amount of glitter, bling, crisp white and a dash of burlap and kraft, and what do you get? This FUN class! You will be creating NINE tags, bags and boxes using the Jillibean Soup Christmas Cheer Chowder line of papers and a variety of coordinating embellishments to get you all set for your holiday gift giving! Your class kit includes a half sheet each of six papers, and a full package of diecuts - with extra product to go home and create some more! Leanne has put together some BONUS projects with the leftovers from your class kit... bring your camera! Join Donna in this fun class and create a crafty custom holiday cover for square tissue boxes... a perfect little accent for your home or a sweet gift for a party hostess. Class includes the tissue box and basic instructions so you can re-create this little charmer for any decor or occasion! Art journaling is the perfect place to explore new creative ideas and try out new techniques. 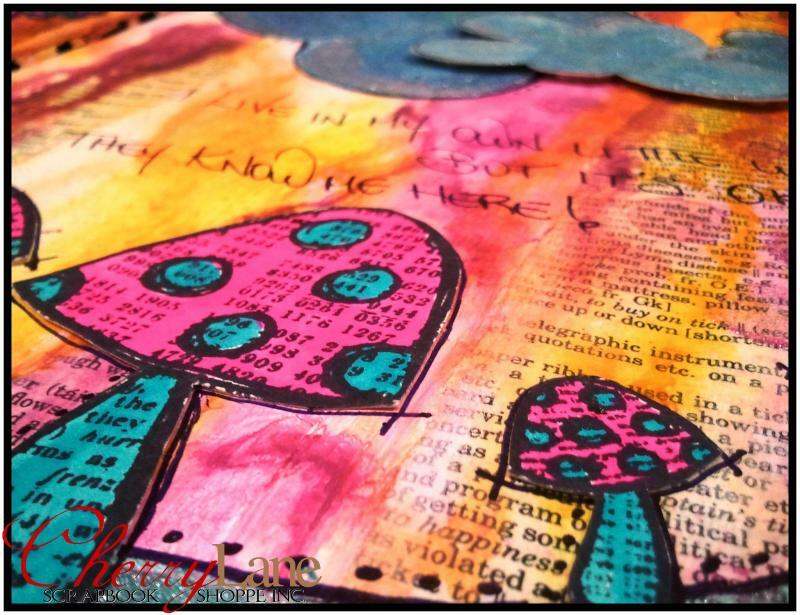 Don't be scared... there is no wrong way to art journal, everyone's journal will be different... if you can doodle... or cut pictures out... or stamp... or add paint to paper... you can art journal! We hope you'll join us to try out new techniques and enjoy some much needed creative time each month. NOTE: No previous art journaling experience needed to participate... jump in anytime!